BEAUTIFULLY UPDATED 3/2 Block & Stucco JASMINE, conveniently located in The Village of SANTO DOMINGO awaits! This home is on an OVERSIZED CORNER LOT w/ a painted CIRCULAR DRIVEWAY! Enter through the screened entry and into the foyer where you'll instantly feel like youâre HOME! 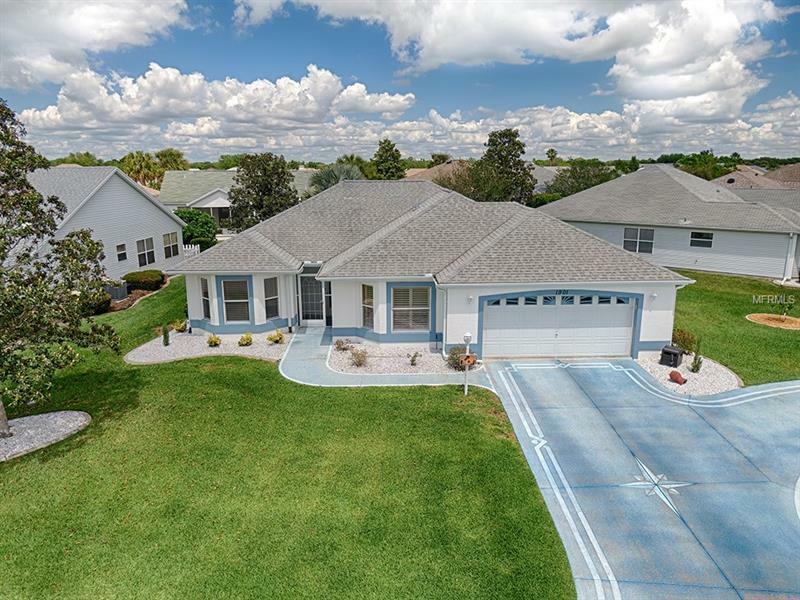 The kitchen has white cabinetry, NEW TILE flooring, JETTA STONE COUNTERS & SINK, STAINLESS appliances, smooth top electric stove, upper and lower pullouts (in PANTRY too), casual EAT-IN nook and is framed with CHAIR RAIL & PLANTATION SHUTTERS! This popular split floor plan has two guest bedrooms on one side offering privacy for all w/ POCKET DOORS! The inside laundry features FRONT LOAD washer and dryer and even a door that leads out to the garage! The carpeted Master Bedroom features an updated en-suite bath NEW tile flooring, JETTA STONE counters, NEW shower door, new double mirrors, light fixtures, even pull out drawers and toilet! The front guest bedroom has a bay widow w/ vinyl plank flooring and thereâs a shared/updated guest bathroom and linen closet in the hallway plus a second carpeted bedroom - mounted TV does stay! The LATEST GREATEST vinyl plank flooring through the living room - w/vaulted ceilings and sliding glass doors lead to your 12 x 20 enclosed lanai. There's also a grill pad/patio outside the lanai! Other features include: NEWER HVAC (2014), a whole house water filtration system, NEW paint, NEW garage & insulated door w/ EXPANDED garage and room for golf cart & 2 cars ....... & so much more home to LOVE!